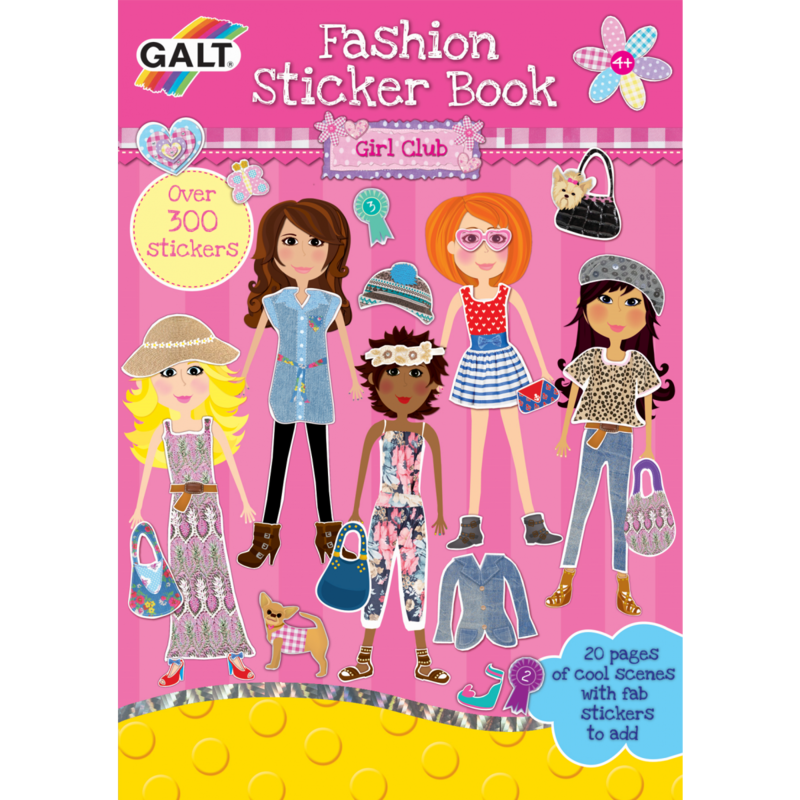 This brilliant Fashion Sticker book from our friends at Galt Toys has been a massive favourite with our customers in both our shops, and it's easy to see why. There are twenty full colour pages of Galt's Girl Club characters in lots of glamorous settings. Your little one's job is to put together their outfits with the 300 stickers of fashionable clothes and accessories. It's the perfect gift for any future fashion designer or stylist! It's a brilliant gift for any child that's interested in fashion or dressing up, and with over 300 style options, there's a serious wardrobe to choose from! The Fashion Sticker Book is strikingly designed and beautifully put together, making it a very high impact gift. The finished pages are easily removable, so they can be proudly displayed in any bedroom afterwards.